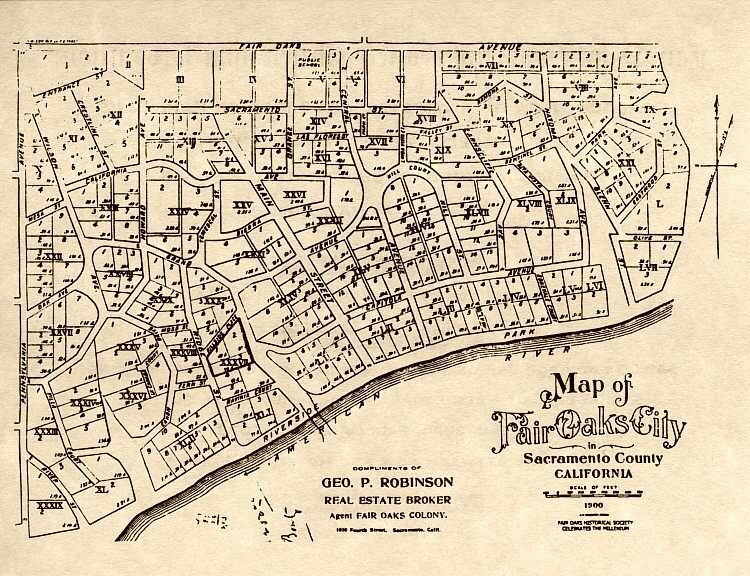 This is the familiar Fair Oaks historical map that hangs in many Fair Oaks homes. One hundred 18 x 12 inch copies of this map were reproduced, numbered and framed by the Fair Oaks Historical Society as its Millennium Project in January, 2000. All the framed copies have been sold. Again, a good portion of this map was in the eyes of the developers. Many named streets either didn't exist yet or were simply driveways to some of the early homes. For the full narative regarding this map, go to the 1900 map page on our website.